Starring: Robert DeNiro, Drew Barrymore, Kate Beckinsale, Sam Rockwell, Lucian Maisel, Damian Young, James Frain, Melissa Leo, Katherine Moennig, James Murtaugh. It has now seemingly reached the time where one of our greatest screen actors is no longer able to command certain roles. Occasionally though, an older, more mature role will surface which can still give a reminder of their talents. This is that role serving Robert DeNiro. Recently widowed, retired wire factory worker Frank Goode (DeNiro) realises all the contact he had with his four children was organised by his wife. When they all opt out of his planned family reunion, Frank takes it on himself to embark on a road trip to see his kids. As he does, he discovers they have been keeping secrets from him. First off, this is a remake of the 1990 Italian film with Marcello Mastroianni, and as far as these types of films go, it’s nothing new. It’s actually quite lightweight material and given the subject you’d be forgiven for expecting a bit more of a punch behind it. It doesn’t wholeheartedly deliver the power it should. What it does do however, is achieve in giving DeNiro center stage. It’s great to see him being the main attraction again and a real pleasure to spend time with him when he’s not playing second fiddle to anyone. 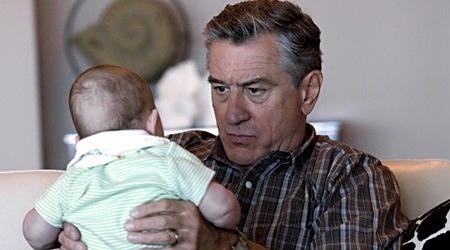 There has always been something personal about watching DeNiro act. His ticks; his smile; his grimace and his lack of eye-contact. They are all here but what’s most refreshing is seeing him play the role of a retired older man in his twilight years. Now accepting his age. Over the years DeNiro has delivered so many eclectic characters that most movie goers will have identified with at least one of them along the way. 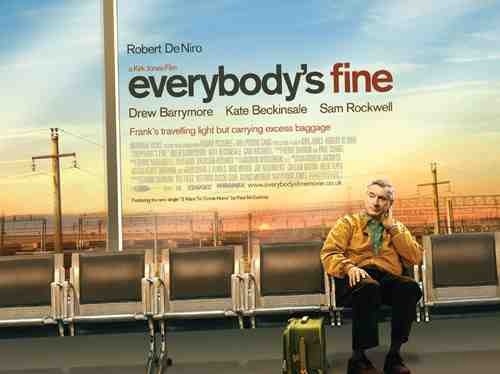 This is another fine performance and ultimately, he’s the highlight of the film. The supporting actors are good but are given very little to work with and the likes of Sam Rockwell would have chewed up a meatier role. Sadly he’s not provided with it. There are some lovely moments peppered throughout, as well as some pathos, but it doesn’t quite rise above anything more than a ‘likeable’ status. A poignant little family drama that has a nice feel for time and benefits from a strong performance by DeNiro as the heart and soul. It just doesn’t offer anything original. This entry was posted on February 2, 2012 at 11:29 am and is filed under Drama with tags 2009. You can follow any responses to this entry through the RSS 2.0 feed. You can leave a response, or trackback from your own site.